Annual tick populations are affected by rainfall. Differences in habitat and latitude play key roles in tick densities. 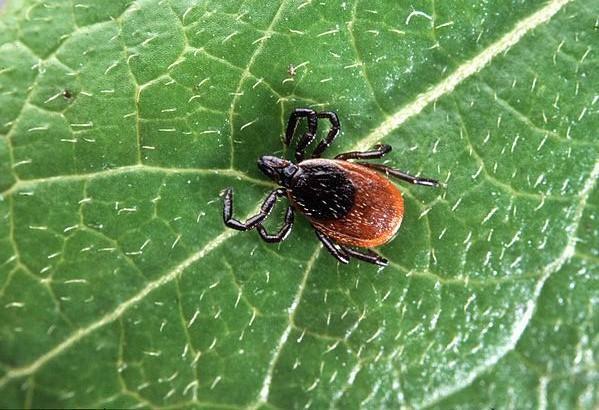 To prevent ticks, experts recommend using DEET-based insect spray and proper clothing practices to prevent tick bites. Wear light colored pants and tuck cuffs inside boots. Removing an imbedded adult ticks in less than 24 hours may prevent Lyme disease transmission which generally requires a tick to remain attached for longer. But small larval tick nymphs may transmit Lyme disease faster so detection remains key. Check yourself for ticks every time. Be aware and know the symptoms including headache, muscle stiffness and rash. Medical experts have seen reported rates of Lyme disease spike from 130 cases per 100,000 before 2001 to more than 800 annually after 2006. The extent of new residential homes with more people, dogs and deer living in brushy once-rural areas underlies the spike in Lyme disease. More people now simply live in rural areas where ticks have always been a fact of life. Squirming yet? That uncomfortable "awareness" is an important survival mechanism! Tick season is back, and so is another year of mostly preventable cases of Lyme and other tick-borne diseases. While blacklegged ticks – also called deer ticks – will be active until the fall, from now until July is when the nymphs, or young ones, are most active. Nymphs are tiny and hard to find, which makes the risk to contract Lyme, babesiosis and anaplasmosis highest starting right now. But more dangerous than the diseases themselves, says Alan Eaton, an entomologist with UNH, is the lack of public awareness about these illnesses.